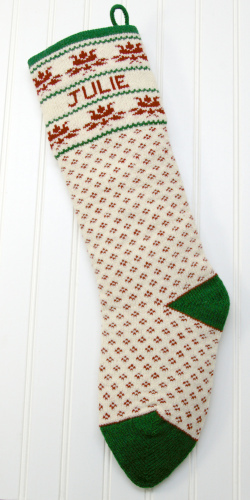 Vermont made knit wool Christmas stockings and ornaments made for you. Christmas has a certain dependability for kids. Of course there are surprises. But whether presents are opened Christmas morning or Christmas eve, a kid wants to know which presents are his or hers. 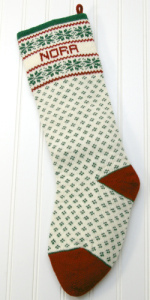 A Specialties in Wool personalized Christmas stocking makes that clear! Christmas stockings shouldn’t be flimsy affairs that get swapped out every year for what ever is the fad of the year. 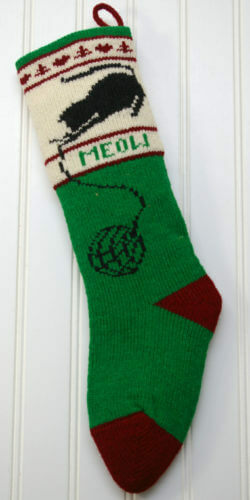 We’ve been knitting Christmas stockings in homes in Vermont since 1980. That’s not factory-made and that is 37 years! We’ve been on the internet since 1994, way before eBay and Etsy. Each Specialties in Wool stocking is knit at home, in the midst of our family, for you and your family with hopes that it will help fill your holidays with joy for many years of Christmas memories. In Vermont, longevity is sometimes measured by generations. Farmers often hand down the family farm rather than sell it. Following that concept, you could say that I’m a third generation stocking knitter. 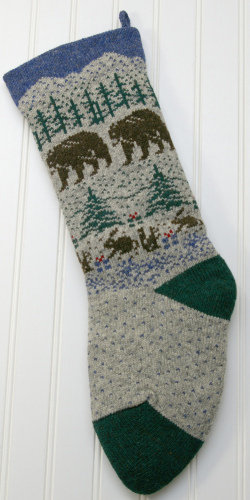 My mother started knitting stockings for the family when her mother’s arthritis brought her knitting to a halt, and my knitting began when my mother announced that “her daughter” would continue the knitting tradition in our family. While my two previous generations were hand knitters, a knitting loom is more my speed, and better suits our volume! 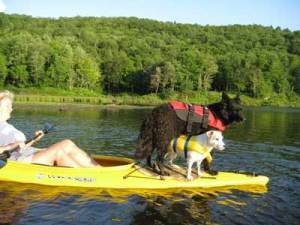 Always by my side is my dog, Quincy, the black one in the picture, a “defender of the herd”. He is currently more interested in playing Frisbee than defending the herd….but he’s still young. Find out more about the smart, energetic Hungarian Mudi breed here. Specialties in Wool is the combined efforts of home artists. Sylvia and Robert Franks are a tag team. Sylvia knits stockings and helps develop new designs. Robert knits hanger loops for each of Sylvia’s stockings. 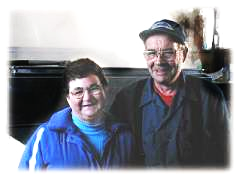 These two have been at it for over 30 years! Their stocking production slows down in spring and summer. That’s when they collect and boil maple sap and then tend to their extensive garden. With this fabulous garden they feed and keep close eye on 5 children, 14 grandchildren and 15 great grandchildren! Anna Marie Caron knits our ornaments and special projects. She has been part of Specialties in Wool since 1983 and how she fits us into her life is known only to the scheduling gods. 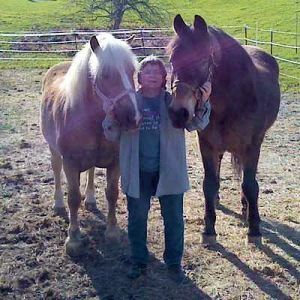 She has two jobs, one husband, grown children, two horses, three dogs, and four cats. I get exhausted just talking about her! I’m sure you can find just what you’re looking for here. 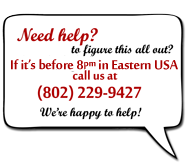 I’ll help you figure out what is exactly right!